Within this context, the Fare network is partnering with organisations across Europe to develop expertise, influence policy making and empower communities on how to use football to bring about social change. These partnerships aim to encourage social inclusion and equal opportunities in sport, promote the creation and development of transnational networks within this field, further education and the practice of sport, and tackle discrimination. The Fare network is currently collaborating in eight transnational projects and is the lead partner in two projects: INSPIRE4ALL and REWINS. As part of these projects, several conferences will be organised across Europe and educational and and guiding tools produced. If you are interested in collaborating with the Fare network in an Erasmus+ Sport project by leading or as a collaborative partner, please send an email explaining your project or expertise to info@farenet.org. INSPIRE4ALL is a 12-month project running from January to December 2019 aimed at supporting the integration of refugees through sport in their host communities. The project’s predominant focus is on increasing the participation of refugees in local sports activities, with a goal to raise the potential for host communities to positively engage with refugees through football and at least two other sports. Using mixed sport sessions for male and female refugees and locals, and joint events that bring together refugees and local populations, INSPIRE4ALL applies a holistic approach to ensure long-lasting results for at least 100 beneficiaries, with a goal to reach at least 5,000 male and female refugees, sports people in sports clubs and NGOs. Training seminars and study visits will also be made available for sport providers to learn how to reduce barriers for refugees to participate in sports programmes. A webinar on how to plan and deliver sports activities for refugees and locals, INSPIRE4ALL toolkit with workshop module and action day template programme will be some of the outputs from the year-long project. There are three project partners involved: Polisportiva San Precario, from Italy, Champions Ohne Grenzen from Germany and the Fare network. The Fare network is the lead partner in this project. Peer Education, Leadership, Action, Youth (P.L.A.Y!) is a three-year project focused on promoting grassroots sport to improve school success and social inclusion. The project aims to promote transferable social and educational competences through sport to children in disadvantaged situations or at risk of social exclusion because of their background as migrants or ethnic minorities. It also tackles failure at school and aims to reduce dropout rates, and at the same time provides a wide range of sporting activities. During its pilot and implementation years, a series of ongoing activities and events will be delivered by each partners, matching educational and grassroots sport opportunities for children and youth. Partners include project coordinator and Fare network member Finnish Multicultural Sports Federation (FIMU), ASD Margherita Sport e Vita (Italy), Consorzio Comunità Solidale (Italy), Drustvo za razvijanje prostovoljnega dela Novomesto (Slovenia), Fare and Pere Tarrés Foundation (Spain). The project will run until December 2019. Follow P.L.A.Y! news and social media: Facebook, Twitter and Instagram. REWINS is a 24-month project designed with a goal to encourage social inclusion and equal opportunities in sport, specifically for refugee women. The main project aims for REWINS are to promote a positive attitude towards refugee women in sports, identify refugees’ barriers and good practices for participation in local sport activities, provide opportunities for refugee women at grassroots level, raise awareness of the refugee population and mobilise better inclusion of refugees in local sports organisations. The direct target group for the project will be refugee women age 18 and over, along with coaches and local communities. Outputs will include the development of training courses for coaches and the formation of women’s football teams in the selected partner countries, based on the methodologies of the training courses. Partners in this project are: Organisation Earth (Greece), Girl Power Organisation (Denmark), Polisportiva San Precario (Italy) and the Fare network. The Fare network is lead partner in this project. Football History for Social Inclusion (FINC) is a three year project that builds on football’s power and potential as the most popular sport in the world to appeal to young people and those in disadvantaged positions, and on history, which when taught responsibly contributes to active citizenship and a sense of belonging. Together they can make a significant positive change in the lives of young people across Europe. FINC is a vital step in a long-term vision, which would place local history at the heart of every football club’s social corporate responsibility strategy to help them reach out to communities and address modern-day challenges and opportunities such as diversity, migration, discrimination and equality. 1. Promote diversity, anti-discrimination and equality, including gender equality. 2. Innovate formal and non-formal learning leading to social, civic and intercultural competences and critical thinking. 3. Support the professional development of educators and youth workers and build the capacity to develop and implement innovative teaching methods. 4. Engage in cultural heritage for all by accessing the histories, memories and legacies residing in football history in transnational perspectives on all levels. 5. Raise public awareness on the role of learning for social inclusion and increase the sharing of innovative practices across the continent. Partners in this project are: EUROCLIO, The Netherlands (Lead), Anne Frank Foundation, The Netherlands, Eintracht Frankfurt Museum, Germany and Romanian Football Federation, Romania. Step Up Equality (SUE) is a project beginning in January 2019 with an end date of December 2021. The main objective of this proposal is to promote gender equality and challenge gender-based discrimination in grassroots sport across Europe through the cooperation and the exchange of best practices and expertise between different sports. 5. Increase networking and cooperation between women in coaching and leadership positions from mainstream sports (e.g. football and volleyball) and emerging sports (e.g. roller derby) in Europe. Girls in Sport, Sweden (Lead), Gea Coop Sociale, Italy, Women Win, the Netherlands, Associazione Nazionale Atlete, Italy (Assist), Stowarzyszenie na Rzecz Demokracji W Sporcie – Association Democracy in Sport Poland, Poland, Discover Football, Germany, The Fare network. Mobility Project is a two-year project starting in January 2019 that aims to contribute to the efforts of sport organisations by supporting the learning mobility of their staff. The target group are trainers and managers of sport clubs at the grassroots level. Eight study trips will be organised together with foreign partners. In addition to education, networking will be an important goal – establishing long-term relationships with local trainers, volunteers and club managers. Each study trip is five days of training, seminars and workshops. Emphasis will be placed on meetings and exchange of knowledge, and the summary of each trip will be an international conference organised by a local partner, which is an opportunity to meet and exchange experiences with national sport people. The project has nine partners including the Fare network. The lead partner is Towarzystwo Sportowe Iron Man from Poland and other partners in this project are UKS Varsovia Warszawa (Poland), Klitschko Foundation, Kiev (Ukraine), DanaCup Travel (Denmark), High School for Sport and Coaching, Wroclaw (Poland), DFB Stiftung Egidius Braun (Germany), Asociatia Pentru Tineret si Sport ERDELY – Ifjusagi es Sport Egyesulet (Romania), HNK Gorica (Croatia) and the Fare network. Football3 is a project aimed at designing an organisational-level football3 certification – building capacity and certifying participating project organisations in the process – as well as a related individual certification pathway. Complementing this overall certification scheme is a Massive Open Online Course (MOOC) that will allow individuals to asynchronously and remotely access validated football3 education while also giving them access to certified training. Streetfootballword (lead) (Germany), INEX-SDA (Czech Republic), Albion in the Community (UK), MSIS (Poland), European Network of Sport Education (ENSE) (Germany), Oltalom Sport Association (Hungary), Rheinflanke (Germany), Balon Mundial (Italy), CAIS (Portugal) and the Fare network. The Football Including Refugees Project (FIRE) begins in January 2019 until December 2020. FIRE aims at promoting inclusion, participation, socialisation and access to sport for asylum seekers, migrants and refugees. In particular, the approach is oriented towards fostering intercultural openness in sport clubs and sport bodies. The aim of FIRE is to empower, enable and support sport organisations in working with refugees and asylum seekers: we want to gather together people through sport, independently from nationality, citizenship, cultural background, juridical status and any other variables. Sport and citizenship think tank (France) will act as lead partners of the project. Sport and citizenship think tank (France) (lead), Royal Belgian Football Association (KBVB/ RBFA/ URSBFA) (Belgium), Scottish Football Association (SFA) (Scotland), Romanian Football Federation (RFF) (Romania), The Fundación del Fútbol Profesional (FFP) (Spain), Fundacja dla Wolności (Foundation for Freedom, FDW) (Poland), ESSCA School of Management (France) and the Fare network. Ball Rolls In the Same Way for All (BRISWA) is a partnership of organisations from Italy, Greece, Serbia, Hungary, Romania and Bulgaria aimed at dealing with racism in football, while sharing a message of equality among youth players. Understand the current situation of racism in Europe and identify the main drivers for such a phenomenon. Assess how racist acts can be mitigated and ultimately possibly eradicated from the sport culture. Implement such strategies and policies starting among the youth. Establish what are the skills (psychological, social, etc.) for a new fundamental figure in football teams who will be responsible for identifying racist drifts within the team and for addressing these. Disseminate the values of equality throughout Europe by creating awareness through the project various channels and also by focused sport events, training seminars, project meetings and public workshops/conferences. Find out more about BRISWA here. Football3 For Respect uses the harnessed the power of the football3 methodology to tackle the challenges of racism, violence, and radicalism faced by youth of migrant and refugee backgrounds. It addresses challenges for refugee and migrant youth inclusion by building local capacity, and, in turn, equipping coaches with the skills to counter violence, intolerance, discrimination and radicalisation through football sessions. The project will develop a training-of-trainers toolkit that will allow coaches in each partner organisation to learn how to implement the football3 method. It will directly involve 500 coaches and, through them, 50,000 young sportspeople. During the implementation period, project partners will test and further develop the training-of-trainers toolkit through workshops and football3 events. The project is coordinated by StreetFootballWorld and will run for 24 months from January 2016 until December 2018. Project partners include Albion in the Community, Balon Mundial, CAIS, Fare, INEX, MSIS, Oltalom Sport Assocaition, Red Deporte, RheinFlanke, Shumenski Universitet, Sport4Life, Sport Against Racism Ireland (SARI) and Sport dans la Ville. 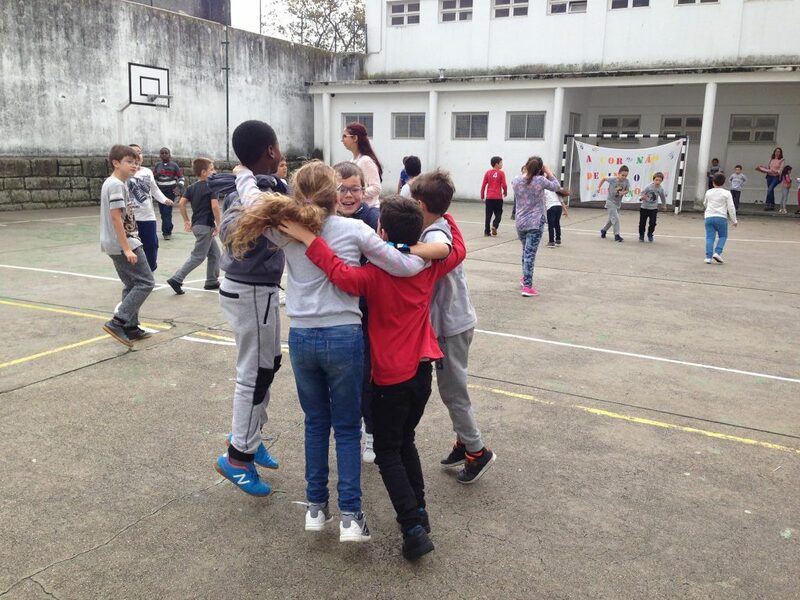 Get Inclusive In the Game (GIIG) is 12-month project funded by the European Commisson, which ran from January – December 2017, to promote voluntary activities in sport that foster the social inclusion of minority groups, equal opportunities and raise awareness of health-enhancing physical activity. At the core of the project is a model that aims to involve migrants and refugees living in Italy, and women in sports, and address issues including gender equality, diversity, while building social relations, creating networks and providing life-skills. The project’s website will gathers data and information for the development and financing of strategic partnerships and the planning of sports initiatives, furthering the project’s methodology. As part of the project, information days were held in schools, sport for all days, as well as a final international conference, where the GIIG model was promoted and outcomes presented. Project partners include Unione Sportiva ACLI Frosinone (Italy), Associazione di volontariato Nuovi Orizzonti ONLUS (Italy), ASD Balon Mundial Onlus (Italy), Društvo za razvijanje prostovoljnega dela Novo mesto (Slovenia), Towarzystwo Sportowe Iron Man (Poland) and the Fare network. Sport and Inclusion for Refugees in Europe (INSPIRE) is a 12-month project funded by the European Commission seeking to increase the potential for host communities to successfully engage and integrate refugees through sport. The project focuses on identifying refugees’ needs for and barriers to participation in local sport activities, support the provision of sporting activities and provide opportunities for refugees and asylum seekers at grassroots sport level, while promoting a transferable methodology based on the findings. Particular attention is being paid to gender balance due to the low levels of participation of female refugees in grassroots sport caused by lack of information of how to access sports activities, lack of opportunities, little experience and low self-confidence in trying out or practising sport or sport activities unsuitable for female refugees due to cultural differences. A minimum of 50% of the beneficiaries will be female. As part of the INSPIRE project a toolkit has been developed and was presented at the project’s final conference in Warsaw in December 2018 sharing training modules, best practice examples and offering recommendations to sports organisations and practitioners. The toolkit is available to view here. Project partners include the Fare members Les Dégommeuses and Fundacja dla Wolności, from France and Poland respectively, who have comprehensive expertise in working with refugees and implementing football projects for refugees. Fare is the project’s lead partner. Follow INSPIRE on social media through the hashtag #RefugeesInspire and on farenet.org. Sport Psychology as a Strategic Tool for Prevention in Grassroots Sport (PsyTool) is a project led by Pablo de Olavide University which analyses violence, harassment and discrimination and develop new approaches to tackle these. Gather objective data on the incidence and impact of negative behaviour practices in youth sport and to identify best practice at European level. Create educational and innovative tools based on sport psychology to promote positive experiences and outcomes and protect young athletes against the existing risks. Create a European network of ‘Agents of Change’ to promote positive personal development in youth sport. Demonstrate this new approach and test the results on the ground, through the management of pilot workshops for the final beneficiaries. The project, which ran from January 2016 and December 2017, created a platform to help coaches, teachers, students and practitioners to use sport psychology as strategic tool to promote integrity and to tackle violence, discrimination, intolerance and match fixing in grassroots sports. The objective is to intervene and to protect athletes from these existent threats in sport. Partners include: University Autónoma de Barcelona (UAB), Spain; University of the Balearic Islands (UIB), Spain; Spanish Federation of Sport Psychology (FEPD), Spain; University of Halmstad, Sweden; University la Sapienza of Rome (SUR), Italy; International Council for Coaching Excellence (ICCE), UK; University of Lisbon, Portugal; International Center for Sport Security Europe (ICSS Europe), UK; Fare; Foundation of Sevilla F.C., Spain; Sporting Club of Portugal; and Portuguese National Sport Foundation (PNSF). Save the Dream of Grassroots Sports based on Values (SAVEit) aims to eradicate violence, intolerance and all forms of discrimination in grassroots sport, promote inclusion and draw attention to its relevance to youth development. It supports and shares innovative approaches that address these issues which can negatively affect sport’s integrity. The two-year long project, which is running from January 2017 to December 2018, collects and analyses best practices used by athletes, NGO’s, clubs and others, that stand out as a good example to foster sport values and dialogue both in grassroots and professional sports. These examples form part of a best practice guide launched in 2018. SAVEit is also developing an online platform to be used by qualified coaches to learn new and innovative ways in which they can uphold integrity and value creation in sport and a game for youth to learn about the different values they can learn through sport. Project partners include: Foundation Culturalista Leonesa (project leader), Spain; Autonomous University of Madrid, Spain; AS Eupen VoG, Belgium; Altum Foundation, Spain; Fare; Panther Force Gaia, Portugal; Rugby Colorno, Italy. Find out more about SAVEit here. Also on Facebook and Twitter. All of the above described projects are funded by the European Commission.